R. Shalom Berger is on the faculty of the Lookstein Center for Jewish Education at Bar-Ilan University. *Dr. David Bernstein is the dean of the Pardes Institute of Jewish Studies. *R. Chaim Brovender, president of the ATID Foundation, is Rosh Yeshiva of Yeshivat HaMivtar. Dr. Simcha Chesner, a clinical psychologist, is director of Jacob’s Ladder Center for Character Education, in Jerusalem. *Dr. Howie Dietcher, a faculty member of the Melton School of Education at Hebrew University, is the director of Intensive Development Programs at the Mandel School. 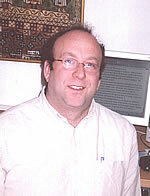 Dr. Yoel Finkelman is ATID's Coordinater of Research and Projects. He teaches at Midreshet Lindenbaum. *Dr. Beverly Gribetz is the principal of the Evelina de Rothschild Middle School in Jerusalem. Prof. Binyamin Gross is a lecturer in Jewish thought on the faculty of Bar-Ilan University. R. Zvi Grumet is the director of the Senior Educators Program at the Lookstein Center. Prof. Susan Handelman is on the faculty of Bar-Ilan University. Mrs. Batya Hefter teaches at Matan and directs the Beit Midrash LeNashim in Efrat. Dr. Elie Holzer is on the faculty of the School of Education at Bar-Ilan University. R. Yair Kahn is a Ram at Yeshivat Har Etzion in Alon Shvut. *R. Menachem Leibtag serves on the faculties of Yeshivat Har Etzion and Midreshet Lindenbaum. R. Ephraim Levitz is on the staff of the Branco Weiss Institute for the Development of Thinking. Dr. Daniel Marom is a Senior Consultant at the Mandel School for Professional Education. R. Stanley Peerless is the director of the World Council for Torah Education, and is on the faculty of the Lookstein Center for Jewish Education at Bar-Ilan University. Mrs. Simi Peters is on the faculty of Nishmat. *Mrs. Tova Rhein is the director of the overseas program at Midreshet Lindenbaum. Dr. David Ribner is a Senior Faculty member at Bar Ilan University’s School of Social Work. R. Yedidya Rausman is the Diretcor of ATID's Web Yeshiva. *R. Jeffrey Saks is the director of ATID. Avraham Walfish is on the faculty of Yeshivat Hesder Tekoa and the Herzog College. *Dr. Joel Wolowelsky is the chairman of Advanced Placement studies at the Yeshiva of Flatbush. R. Reuven Ziegler is Director of Research for the Toras HoRav Foundation, and editor in chief of Yeshivat Har Etzion's Virtual Beit Midrash. R. Dov Zinger, formerly Rosh Yeshiva of Yeshivat Mekor Chaim, is founder of the Beit Midrash le-Hitchadshut. Dr. Avivah Zornberg, a well-known Jerusalem educator, received the National Jewish Book Award for her Genesis: The Beginning of Desire.